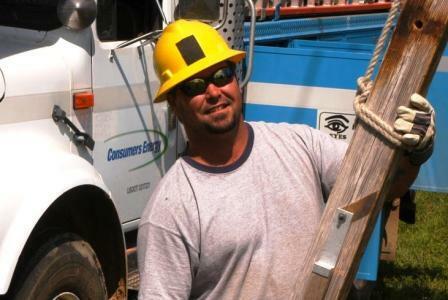 Consumers Energy has improved electric reliability 20 percent from five years ago. As folks reflect on the 10th anniversary of the Aug. 14, 2003 blackout that touched Michigan, we want our customers to know we’re working hard to deliver the energy you need, whenever you need it. Consumers Energy has invested nearly $1 billion over the past five years to help improve electric reliability for our 1.8 million customers. And, that has helped produce a 20 percent improvement in electric reliability from five years ago. MLive story: Remember the blackout of 2003? Consumers Energy invests about $150 million per year to upgrade and modernize its electric distribution system. This work includes inspecting and replacing poles and cross-arms; replacing transformers, insulators, and adding new electric wires. The company is also installing new automatic relay equipment and strengthening animal protection measures at substations to further improve reliability. In addition, Consumers Energy invests up to $45 million per year on line-clearing work to enhance reliability and reduce tree and vegetation contact with electric lines. VIEW Reliability promise video. Consumers Energy recently launched an on-line outage map that allows anyone to see the location of outages and get an estimated time of service restoration. The outage map is available at: http://www.ConsumersEnergy.com/outagemap.